Dr. Singh, a scientist at Honeywell’s lab in Buffalo, began running computer models of tens of thousands of molecular combinations. He was seeking a better refrigerant, one of the most vexing chemicals for the environment. Refrigerants cool homes, cars and buildings but also warm the planet at a far higher rate than carbon dioxide. Dr. Singh was searching for one stable enough to be useful but that degraded quickly so it did not linger to trap heat in the atmosphere. “You have to hit the chemistry books,” he said in a recent interview. As product names go, HFO-1234yf, the refrigerant he played a crucial role in developing, does not roll off the tongue. But it is one of the most important alternatives to hydrofluorocarbons, or HFCs, which have long been used in air-conditioners and refrigerators and which contribute greatly to climate change. On Oct. 15, in Kigali, Rwanda, more than 170 countries reached an agreement as part of the Montreal Protocol to curb the use of HFCs. But Dr. Singh’s new coolant is also controversial, with critics questioning its safety and viewing it as the latest attempt by large chemical companies to play the regulatory system to their advantage. HFO-1234yf is already becoming standard in many new cars sold in the European Union and the United States by all the major automakers, in large part because its developers, Honeywell and Chemours, have automakers over a barrel. Their refrigerant is one of the few options that automakers have to comply with new regulations and the Kigali agreement. A number of rival manufacturers have filed suits to challenge the patent. Officials in India, which has a fast-growing car market, are deliberating over whether to grant patent protection. And then there is the safety issue. Daimler eventually relented and went along with the rest of the industry, installing 1234yf in many of its new cars. But the company has developed an alternative using carbon dioxide that is being introduced in its S-class cars and some E-class models, with an eye toward further expansion. Some engineers and environmentalists, however, say 1234yf is not a good option. 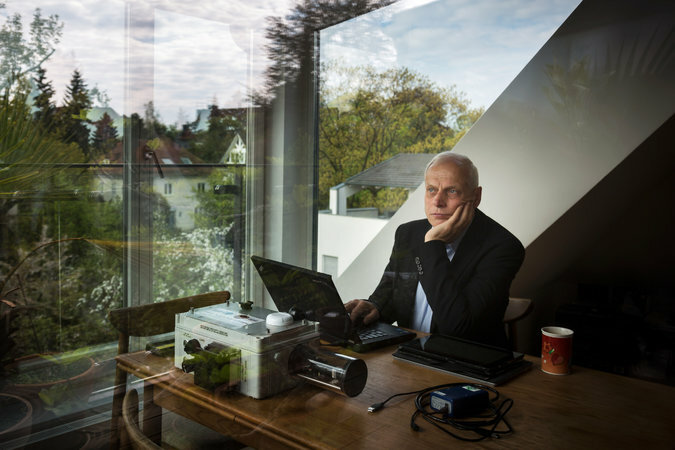 Dr. Friedrich, an engineer and a chemist, is also a member of the scientific advisory council of the International Council on Clean Transportation, the group that commissioned the tests that exposed Volkswagen’s cheating on diesel emissions. He collaborated on tests of 1234yf with Deutsche Umwelthilfe, a German environmental group, which also raised fire concerns. While cars, obviously, contain other flammable materials, he was specifically worried that at high temperatures 1234yf emitted hydrogen fluoride, which is dangerous if inhaled or touched. Honeywell and Chemours (which until last year was a unit of DuPont) have been adamant that the product is safe, and they are not alone. After the Daimler issue emerged, SAE International, an engineering consortium that includes all of the major automakers, said 1234yf was “highly unlikely to ignite,” though the issue led to a brief split with German automakers. The Joint Research Center of the European Union has also said there was “no evidence of a serious risk.” It is being used across the auto industry and has gained approval from regulators in the United States and Europe. “Daimler was the only manufacturer that cited an issue,” said Ken Gayer, vice president and general manager of Honeywell Fluorine Products. “All other car manufacturers at the time had incorporated 1234yf, which is mildly flammable, into their designs, with modest design changes, and proven to themselves conclusively that they could safely use the product,” he said. At the end of that process, automakers and regulators “proved to themselves conclusively once again that 1234yf was safe for use in cars, and then finally in 2015 Daimler announced publicly that they would use the product,” Mr. Gayer said. One thing is not in dispute. The new coolant is superior to the HFC it is replacing in its impact on global warming. 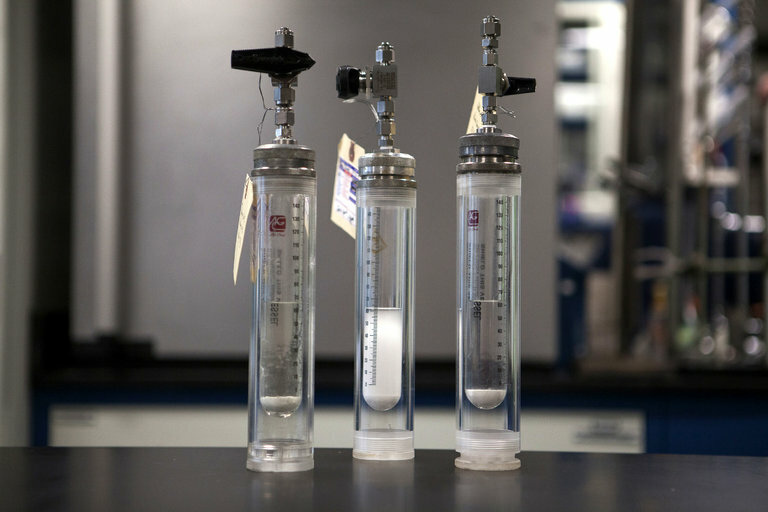 Hydrofluorocarbons have roughly 1,400 times the impact of carbon dioxide, the baseline used to measure such chemicals. By contrast, studies of 1234yf have ranged from four times carbon dioxide to a recent assessment showing it has an even lower impact. Because of that, perhaps no single chemical is better positioned to take advantage of the Kigali agreement. While Honeywell and Chemours, when it was part of DuPont, lobbied to weaken and stall HFC regulations in the past, this time they were poised to profit from a product that had fresh patent protection, and they largely embraced the agreement. Though Honeywell would not give specific profit or revenue figures for 1234yf, sales of its HFC alternatives have helped the company raise annual revenue from its wider fluorine business by double-digit percentages in the last few years to more than $1 billion. The companies, which sell products under different brand names, have “almost a monopoly,” said Stephen O. Andersen, a former E.P.A. official who has been a representative to the Montreal Protocol and works for the Institute for Governance and Sustainable Development, an advocacy group. “The main concern is its high price,” Mr. Doniger said. “While a small part of the price of a car, this could be concerning when repairs are needed.” He said the price would decline after the patents expired, though that will take years. The conundrums and controversies highlight the complexities of refrigerants and the trade-offs inherent in the fight to curb global warming. In the 1980s, the Montreal Protocol led to the ban on chlorofluorocarbons, CFCs, because of hazards to the ozone layer. They were replaced by HFCs, which are being curbed because of their effects on the climate. Dorothee Saar, head of the transport and clean air team at Deutsche Umwelthilfe, the environmental group, said the new refrigerant presented considerable safety risks. She has her own solution. Ms. Saar, who lives in Berlin, has an old Volkswagen Golf without air-conditioning. “I can always open a window,” she said.